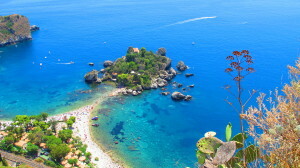 “If a man had only one day to spend in Sicily and asked what is there to see, I would answer without hesitation: Taormina”, wrote the French man Guy de Maupassant more then a century ago. And explained: It’s a painting this village, but a painting in which you will find everything which seems to be made on this earth, to seduce the eyes, the spirit and the imagination. It’s a terrace suspended in the blue, this village, embraced from the ridges of Mount Tauro. They had a good instinct the Greek, when they built the acropolis (205 meters above sea level) and a theatre which, for natural scenery, is more delightful then the same model of Epidauro in Greece. 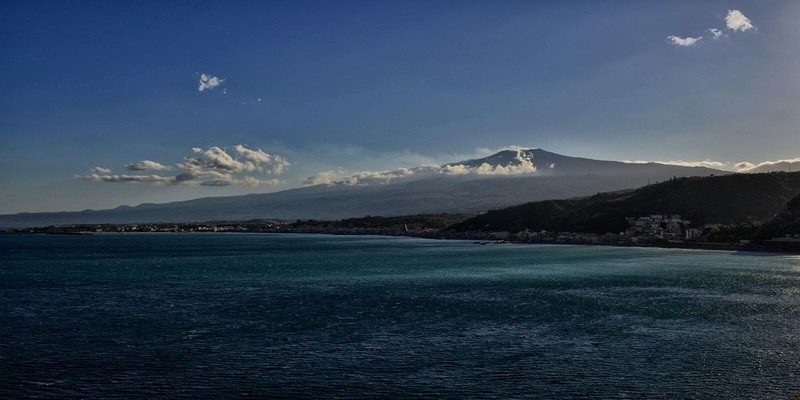 In the background the bay of Naxos, the first colony in Sicily, is at night adorned with thousands of lights, and Mount Etna covered with snow for five months of the year, offers eruptions to the spectators of an unexpected program of suggestions and spectacularity. The sea, the snow and the almond trees in blossom. 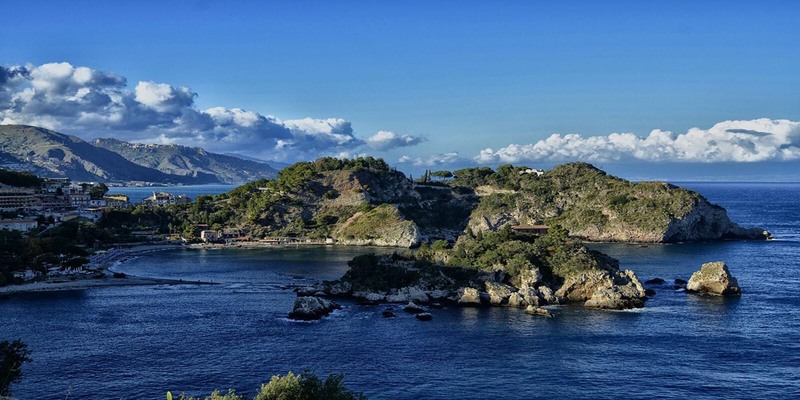 “For the tourism of the modern era”, remembers the journalist Gaetano Saglimbeni in his album of Taormina, published under the Flaccovio imprint, “Taormina was born in winter and maintained a tourist winter resort for nearly a century: in summer even, a lot of hotels were closed. Afterwards followed a reversal, and now the boom is in summer, with high aims also for spring and autumn. It’s the tourism of planned holidays, the organized trips and the charter flights. 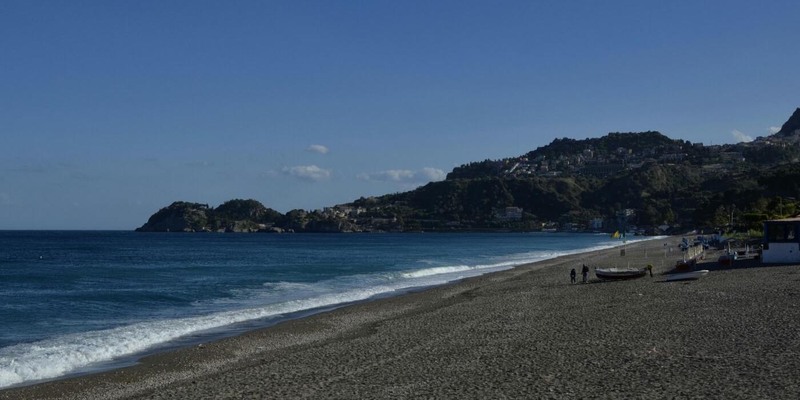 Those who plan their holidays in Italy and in foreign countries know, that the summer in Taormina is the longest one from Europe: Here the beaches are full from March to October. The winter is still the season of the isolated travellers, which (to make us understand) can go on holiday whenever they like. Also today, as in the times of Rockefeller, the Morgan, the Vanderbilt, industrial magnates, financial tycoons, famous writers, painters, musicians come here to spend winter. Instead of the big hotels, a lot of them prefer the villas in the green: they were once upon a time tied to the names like Orazio Nelson (the famous English admiral which “on the mast of his boat hollowed out his coffin”), Earl Marzotto, Cini, duke of Caraci, Paternò Castello; and others which were here recently, on the sea and the hill, in magic sceneries. The “Corso Umberto”, in a way the big living room of Taormina, is already animated in the first hours of the morning. Couples strolling hand in hand, linger in front of a shop window (where you can by everything from embroidery to beat iron, from wood sculptures to souvenirs), writing postcards in the bars on the piazza. In the afternoon they go till to the top of the Greek Theater, to enjoy the spectacle of the sunset (as did the French André Gide, in a black cloak and floppy hat). Tomorrow they will walk towards Castelmola, to carve their names in a tree. Or they go down to the sea: only a little bit of sun let already populate the bays of Isola Bella, Mazzarò and Spisone, also in winter.